You can be sure that you are getting the best physical therapy in Eastern, NC. 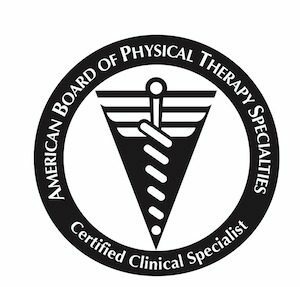 Dr. Elizabeth Young and Dr. Jill Davis have recently been recognized by as Orthopedic Clinic Specialists (OCS) by the American Board of Physical Therapy Specialists. They join a distinguished group of only 5% physical therapists in the United States who hold this certification to indicate their advanced knowledge and skills in orthopedics. Their commitment to continued education and excellence in clinical practice has ensured that Eastern North Carolina has access to the best therapy services.